Once upon a time, the lands of northeast Montana were home to giants. Millions of years ago, dinosaurs roamed the once lush-wetlands before the Missouri River was ever formed. Kids and adults alike can go on real life dinosaur digs and learn about dinosaur history along the Montana Dinosaur Trail right here in northeast Montana. The first Tyrannosaurus rex fossil was discovered in Montana in 1902, and to date, more T-rex fossils have been found in Montana than anywhere else in the world. To this day, Montana remains one of the prime locations in the world for scientists to dig for and make discoveries. Right here in Missouri River Country, you can experience your own dinosaur finds and learn more about these amazing giants. Great Plains Dinosaur Museum in Malta offers DinoDig programs for adults and junior rangers alike. 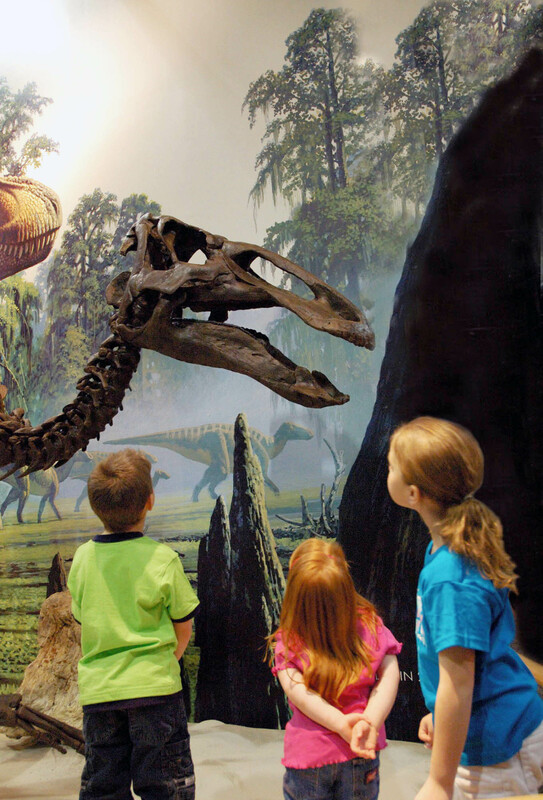 Accompany the museum's paleontologists as they embark on scientific exploration and discovery, and learn all about the history and continued scientific discoveries of dinosaurs in Missouri River Country and beyond. 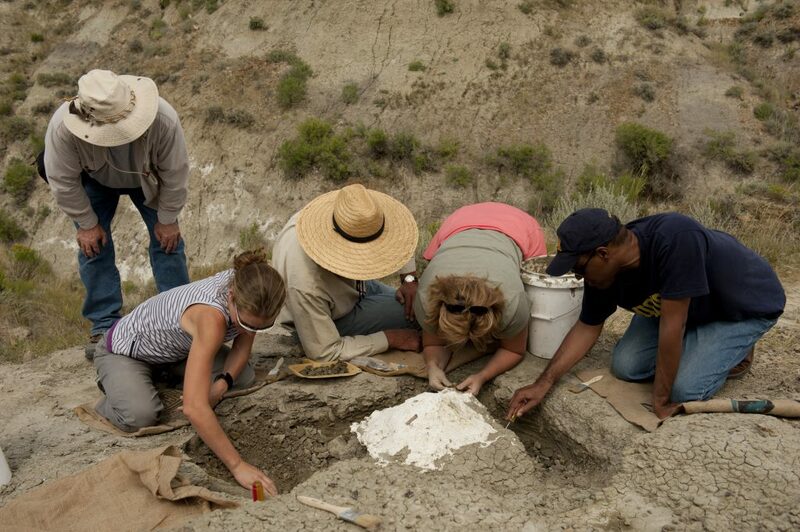 Go on an educational and fun dinosaur dig in Missouri River Country! In addition to dinosaur digs, there are many muesums in Missouri River Country for any dinosaur lover to visit. 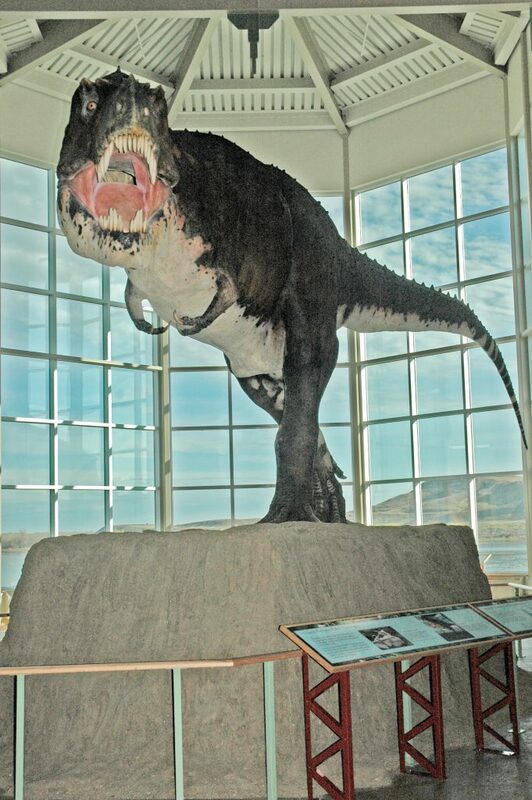 The Fort Peck Dam Interpretive Center & Museum features both the skeleton and a fleshed-out copy of “Peck’s Rex”, a T. rex that was found in the area in 1997. The Phillips County Museum features fossil discoveries from the nearby Judith River Formation including a Brachylophosaurus, one of the best articulated dinosaur skeletons ever found and a dynamically posed 28' skeleton of an early cousin to T. rex called Albertosaurus. You can even pose with a 700-pound Apatosaurus femur and shop in the gift store. The Great Plains Dinosaur Museum offers the public an intimate look into a working paleontological institution. Travel through time and learn about the vast ages of the dinosaurs in Montana's history. Garfield County Museum displays a full-scale model of a Triceratops, which was found about 35 miles from Jordan in 1964. Check with the museum for information about dig-site tours, too! See this giant in the lobby of the Fort Peck Dam Interpretive Center and Museum. For the full experience, follow the Montana Dinosaur Trail which connects 14 dinosaur museums and field interpretive sites in both central and eastern Montana. To learn more, visit their website. Baisch's Montana Dinosaur Digs in nearby central Montana in Glendive also offers full day excursions. Here, experienced guides will show visitors how to excavate fossils and show you how to cast and preserve them. With some exceptions, the fossils you find are yours to keep!